In addition to placeholders you can insert text boxes in the slide. 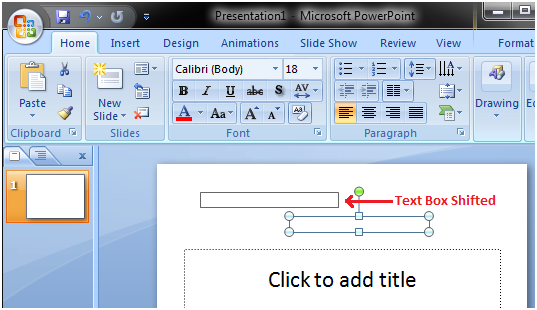 To add a text box follow the below listed steps. You can move and resize the text box. 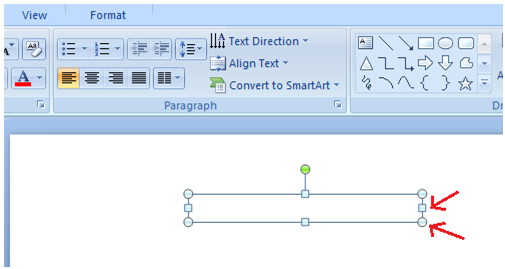 To move the text box click in the box and drag the mouse to the desired location. 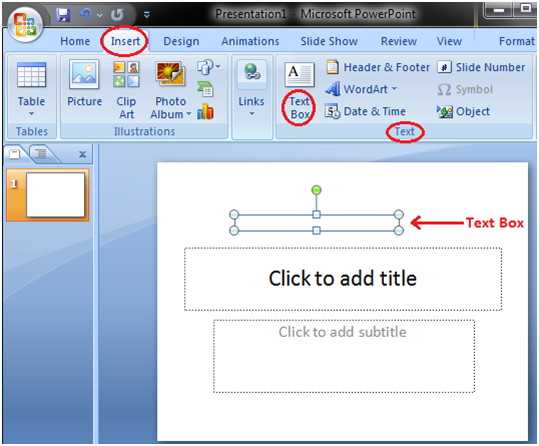 To resize the text box click the circle or square sizing handles of text box and drag the mouse to give it desired size.